Lots of people want it but not everyone knows how to create it — that often elusive “cool” factor that makes a room super stylish and appealing. Part of the reason this can be so difficult is that a cool room can be found in almost any interior decor style. Most of the time, all a space needs is an interesting or innovative piece of furniture to set it apart. It doesn’t have to be an overwhelming process. Just find an element that is supremely stylish and fits your decor. Not sure where to get started? Here are some examples of things that can help create a cool room. A big dose of shine is a great choice for a sideboard. A sideboard and a mirror are a pretty standard set of pieces for a living room or dining room but choosing a really distinctive design is a big step toward a cool room. 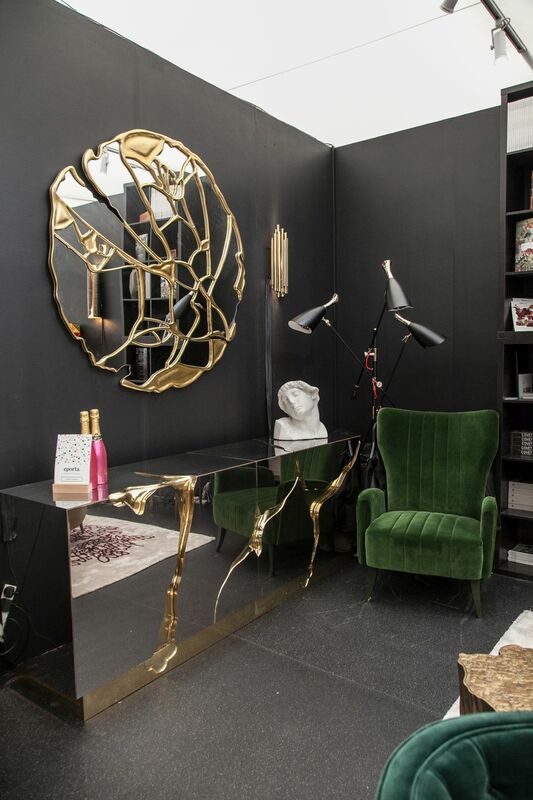 The Lapiaz Sideboard is by Boca do Lobo. The iconic design is comprised of two sections that are finished in polished stainless steel with a very artsy golden accent. The interior is crafted from poplar root wood veneer interior. On the wall above, the mirror has an irregular round shape, defined by the gold lines running around and through it. The hand-cut piece is made from Cromio lacquered wood. Together, they make a glamorous and striking set. PIeces that have unusual configurations can be very cool. Nothing will change up a space more than a piece of furniture that looks out of the ordinary compared to standard styles. Some of these designs are adaptable, like this Udaipur Sofa, which is actually modular. 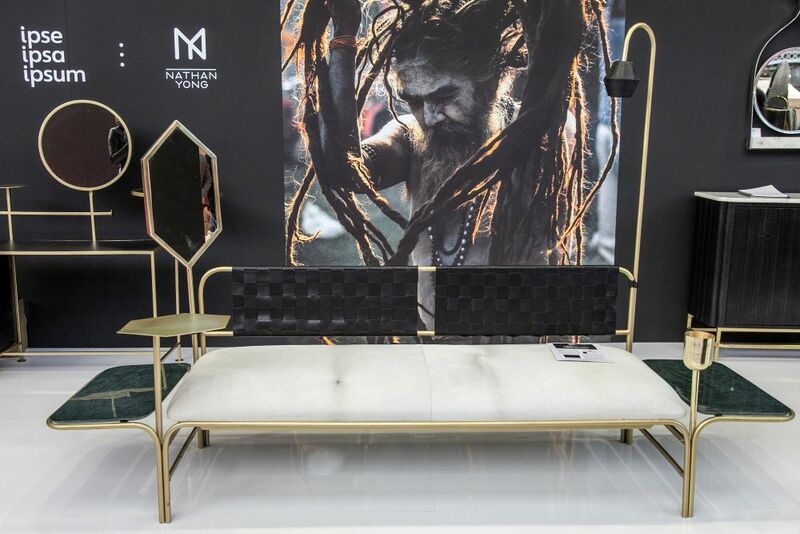 This piece, by Singaporean designer Nathan Yong, is modular and the buyer can choose which elements they would like to include: a lamp, table, mirror or TV remote holder. The frame finish and the material used for the side tables are also customizable. More basic shapes are elevated with luxe materials. Another piece in Yong’s ipse ipsa ipsum brand is the Maharaja Long Sideboard. With a frame in antique brass, a white Indian marble top and cabinetry clad in green croco leather, the structure of the sideboard is solid steel. The corners of the sideboard are noticeable for their carved shape that is inspired by India’s Mughal architecture. It’s a combination of materials, textures and colors that adds a sophisticated flair, making any space a cool room. The silhouette is very unusual for a dressing table. 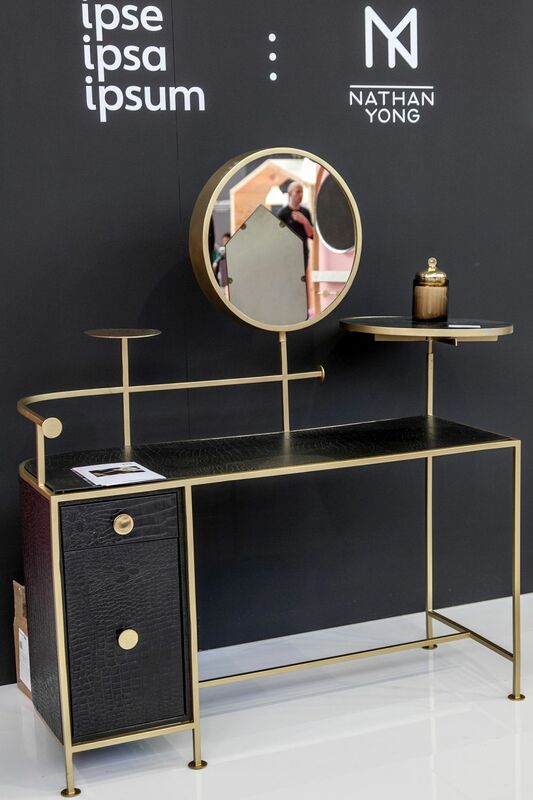 Yong’s dressing table brings together the features of the other two pieces with the modularity of the sofa and the leather finish of the Maharaja Sideboard. The elements of the design make this a piece of cool furniture are the rails and the way the separate parts stand up off of the table. Hefty and rustic pieces are cool decor pieces for a casual space. Reclaimed wood is a go-to material for making a casual space a cool room. For the most natural vibe, try something like these pieces from THORS. The Cube seats – as well as everything produced by the company — are made from Azobé wood that is sourced from Danish wharves that were taken out of service. 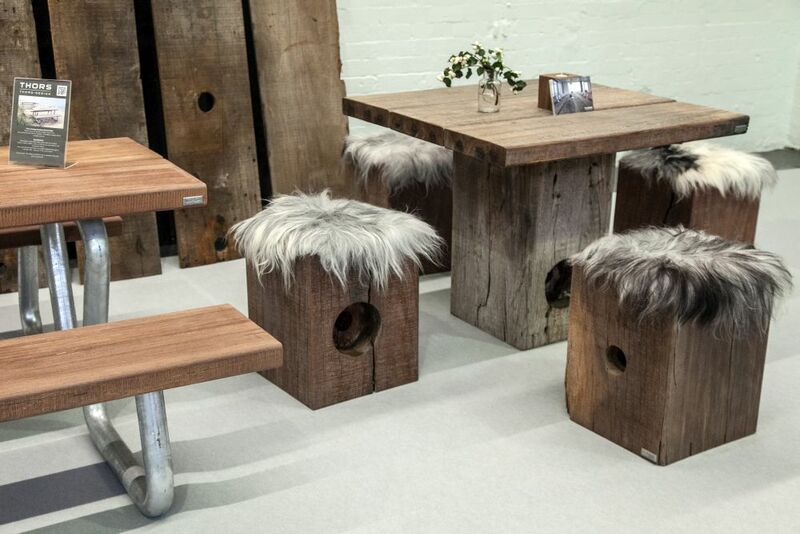 The furnishings have a super rustic feel and no two pieces are alike. Raw and textural, they get an added dose of “wow” from the fur toppers. All have a sanded surface and can be purchased with an optional backrest. These types of pieces can do outdoor duty as well. Best of all, the THORS Cube can also do outdoor duty and will develop a silvery gray finish over time. 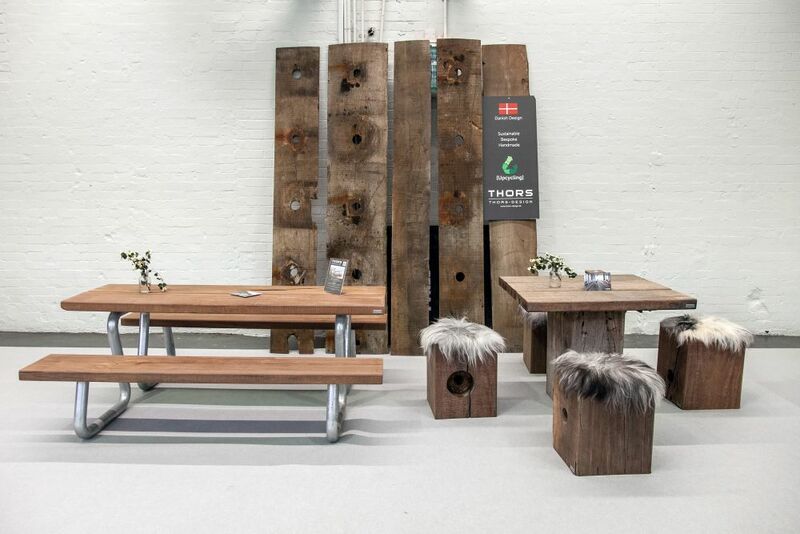 For a more traditional outdoor piece, the THORS Omega picnic table and attached benches are ideal for a garden or yard. Besides being made from upcycled wood, they are not treated with chemicals and instead are finished with natural oils, as are all the furnishings, making them even more sustainable. 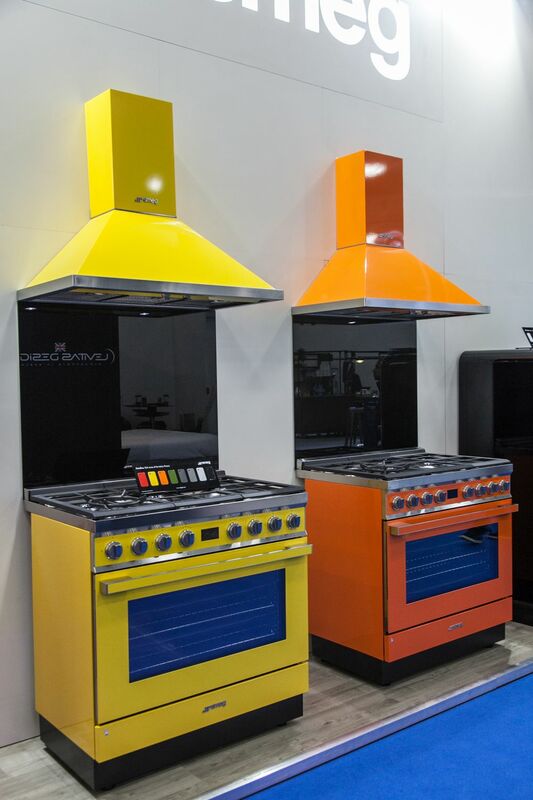 Colorful appliances are beginning to be very trendy. Color is hot when it comes to kitchen appliances as many brands are introducing a spectrum of hues. The designs go to show that there is a lively life beyond stainless steel and the vibrant pieces really make the kitchen a cool room. These ranges from Smeg are part of the Portofino line, inspired by the sights, smells and colors of the romantic town in Liguria: Appliances are available in green, Italian red, yellow, orange, anthracite grey, black and white. More than just colorful, the energy-efficient models have loads of desirable features. A 1950’s vibe is a cool decor style for a living space. A sure-fire path to a having a cool room is to opt for something other than the standard sofa and coffee table combination. If you love to lounge, consider using daybeds in the living room. They offer just as much seating as sofas do and are even better for afternoon napping or binge-watching. These Hudson daybeds by Frag are ideal for a modern or mid-century modern space, with their pared-down lines and low profiles. Crafted from solid walnut-colored ash, they have brushed lacquered metal legs and matelassé leather upholstery. 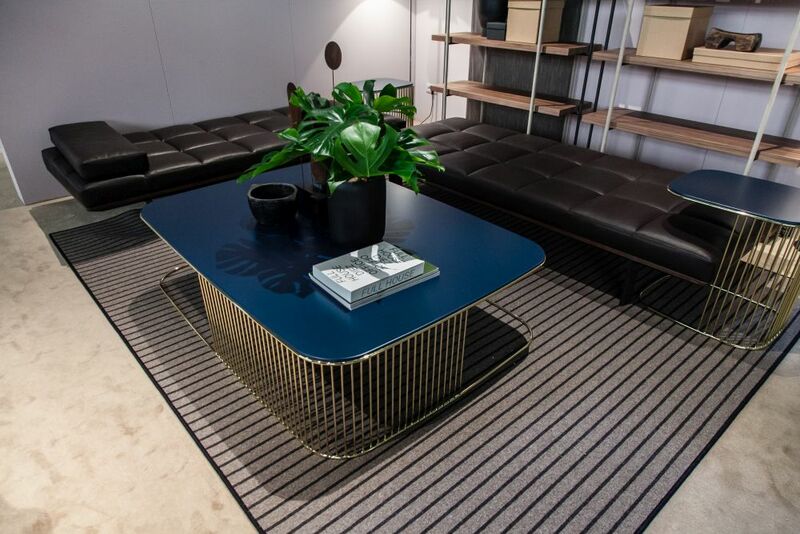 Here, they are grouped with the Comb 100 sofa table, which has lines to match the vibe of the sofa. 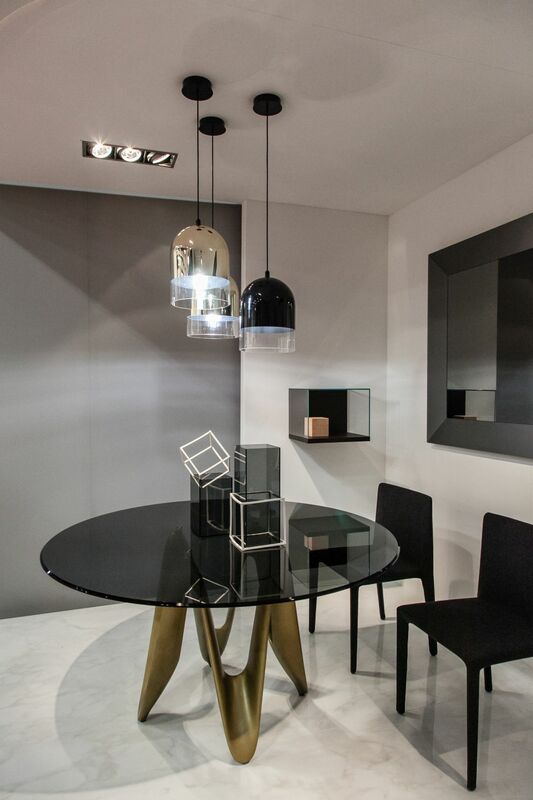 The base has a brass finish but is also available in chrome, and the top is lacquered MDF. Unusual elements like a floating table add a great deal of interest. 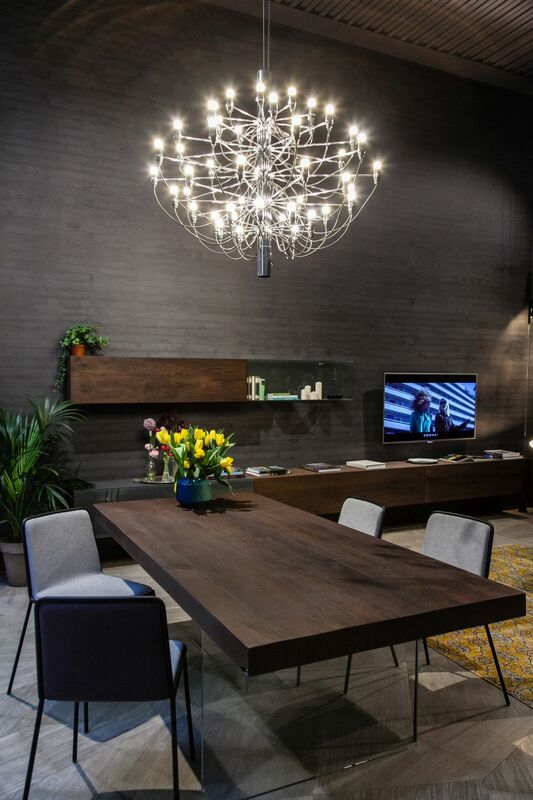 A dining table that looks like it’s floating on air is a definite attention-getter, it not a little visually disconcerting at first. Often the focus is on the table base, but here it is the lack of one that makes fit a cool decor element. The substantial plane of wood in the Air Table, designed by Daniele Lago, is supported by two tempered glass panels that are nearly invisible. Despite the heft of the table top, it has a light and airy feeling. Eclectic pieces can make a cool room instantly. Cocoon chairs have always been an eclectic item that instantly makes for a cool room. 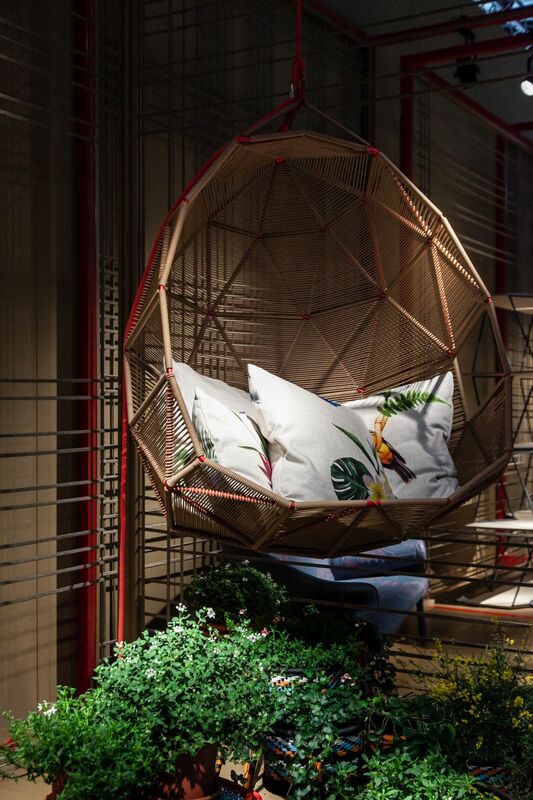 This particular model is the Tropicalia daybed by Patricia Urquiola. The steel tube frame is wrapped in polymer cord, which can also be had in vibrant colors for a more bohemian feel. The airy cocoon is both enveloping and light at the same time. We can imagine crawling, snuggling up and never wanting to emerge. Incorporating this type of piece into a room is sure to amp up the interest. Marble is a style upgrade that works almost anywhere. 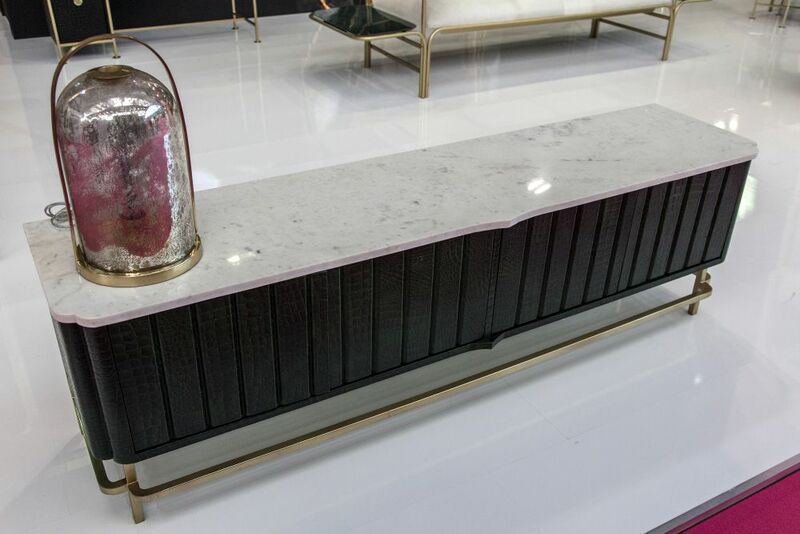 Even those who prefer understated pieces can get a cool room by adding marble accents to furniture and fixtures. Here’s a great example. 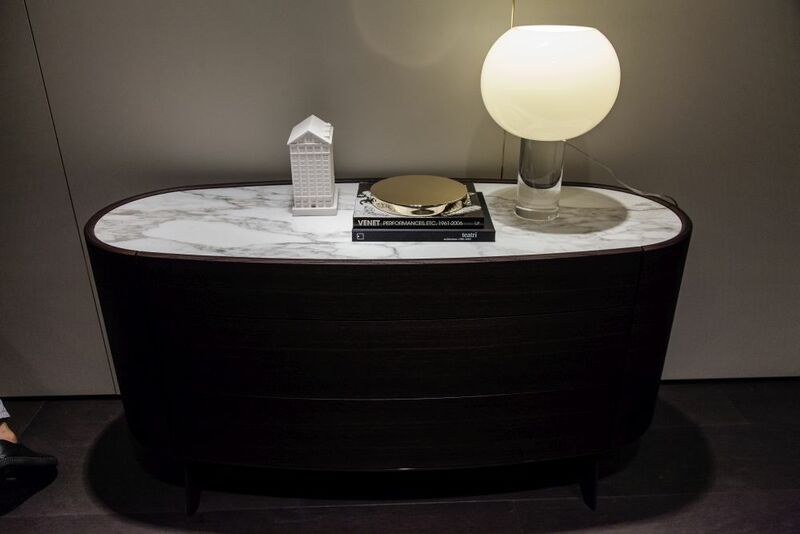 The Onda credenza by Poliform is a sleek oval shape that gets its visual punch from the marble top. This one is white marble, but any type will have the same kind of impact. In fact, marble is a great material for injecting a little something extra to any room, in any form. Artful table bases are best paired with a glass top. Glass topped tables are nothing new, but they are extra cool on decor when they show off an artful base underneath. The Lambda table by Sovet has an undulating wood base that deserves to be on full display, which the glass top allows. This version has a smoked glass top, but it can also be done in different tints or as an entirely clear piece. Whatever the color, this is a head-turning way to add pizazz to a space. Iconic furniture is always a good decor investment. In the quest to create a cool room, iconic pieces are always a sure thing. These designs have stood the test of time and make a room look as fresh and new as they did when they were created. Here, the iconic Panton chair designed by Vernor Panton in the 1960’s adds just the right flair to he already well-composedspace. Iconic pieces have endured for reasons of style as well as comfort. 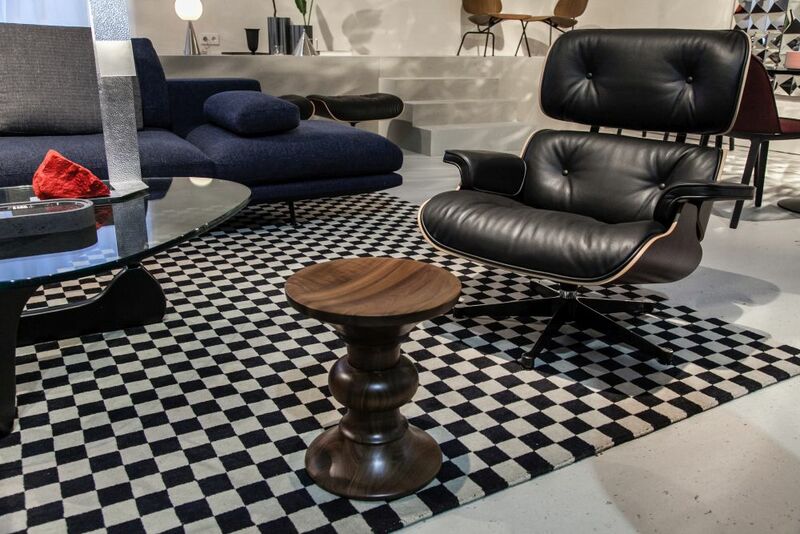 Another classically cool design is the Lounge Chair, designed in the 1950s by the legendary duo of Charles and Ray Eames. Not just visually elegant, the lounge chair is super comfortable which makes it a practical as well as sophisticated design for any room. The Eames also designed a matching ottoman, which would be a great addition. Running through this list of ideas, it’s easy to see that there’s no strict set of rules as to what makes for a cool room. The right choice comes down to considering personal taste, decor style and the existing space as a whole. Getting that “it” factor also doesn’t mean having to totally renovate or redecorate a room. A well-planned, key piece can make all the difference in the world. Try one and see for yourself! The post Want a Cool Room? Try Adding These Types of Stylish Decor Items appeared first on Home Decorating Trends – Homedit.